If you look in your vehicle’s owner’s manual you won’t find any manufacturer’s recommended interval for how often you should perform a coolant flush on your car. When your manufacturer isn’t clear on the time interval for a maintenance item, there is usually a wide range in opinions among mechanics as to what the right thing to do is. 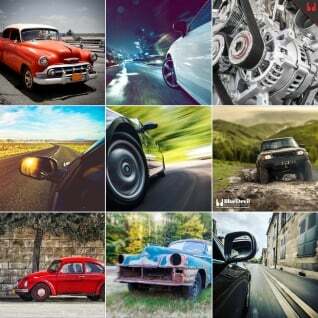 This is mostly because different people like to take care of their cars differently. Some people want to be very proactive in their maintenance hoping to avoid any major repairs while they own the vehicle, while others are more reactionary in maintaining their car so if things seem ok they leave well enough alone. Performing a coolant flush is no different as you could do it as often as every 20,000 miles or never do it at all on your vehicle. Today, we’ll look at the dangers of not doing a coolant flush on your vehicle so you can decide how often is appropriate for your vehicles based on how you like to maintain them. 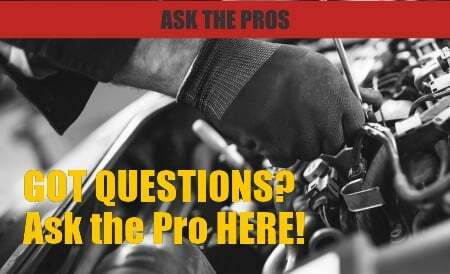 The biggest problem you will run into if you don’t flush your cooling system often is engine scale. The coolant in your vehicle is designed to inhibit corrosion, but it is 50% water after all and your engine is made of steel, cast iron, and aluminum so there will be some corrosion. Also, the older your coolant is, the worse it is at reducing corrosion. You can drain your cooling system and check for corrosion where the radiator hoses connect to your engine and at your thermostat housing. If you’ve got scale, it’s important to perform a coolant flush rather than just a drain and refill on your cooling system to restore your system’s efficiency so your vehicle doesn’t overheat. As corrosion and wear particles build up they will usually settle in your radiator and heater core. Both of these components have small tubes that the coolant flows through to increase surface area and aid in heat transfer. These small tubes can easily get clogged with particles in your coolant reducing heat transfer and causing your car to overheat and your heater to blow cold air in the winter. If the clogs get too bad you will need to replace the clogged radiator or heater core which is expensive. Performing a cooling system flush early can extend the life of these components. As little metal particles float around your cooling system they can increase wear on gaskets seals and hoses forming leakings. 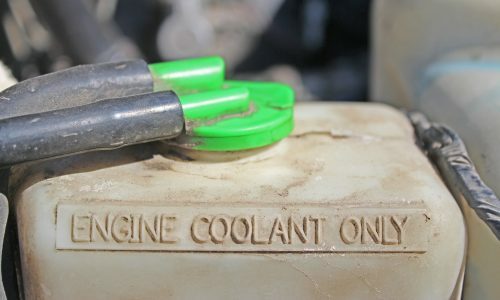 Flushing your cooling system then adding new clean coolant will reduce the amount of sediment in your coolant and help reduce cooling system leaks in your engine. Similarly, these metal particles can wear down parts of your thermostat or even get stuck in the thermostat valve as it is a small opening. This can cause your thermostat to stuck open or shut. Either of these situations will cause problems with your cooling system and could accelerate wear and tear or damage your engine. Lastly, as these same wear products will erode the blades of your water pump impeller. That combined with a lack of anti-corrosion chemicals in your coolant can quickly render your water pump ineffective in moving coolant through your engine and radiator. Replacing your water pump is often a pricey job so save yourself some money and flush your cooling system often. We recommend flushing your cooling system every 40,000 to 100,000 miles. The older your vehicle is and the more severe your driving conditions are, the more often we recommend flushing your cooling system. When you’re ready to flush your cooling system, read our directions on how to do that first, then pick up a bottle of BlueDevil Radiator Flush and get started today!